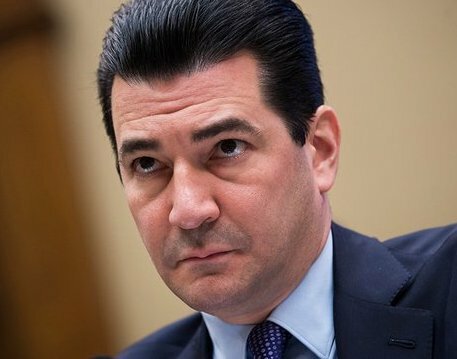 Scott Gottlieb is a medical doctor with a “web of big pharma ties” and has been a fixture in conservative politics for years. Prior to joining the Department of Health and Human Services (HHS), Gottlieb was a fellow at the right-wing American Enterprise Institute for over a decade. Gottlieb also previously served at the FDA during the Bush administration. The Food and Drug Administration (FDA) has broad regulatory authority over birth control and contraceptive medications and devices, including the introduction of new products and the ability to make existing ones generic or over the counter. Under his watch, a longstanding contract for fetal tissue — used for lifesaving research — was cancelled at the behest of virulent, anti-abortion special interest groups. AEI scholars often take anti-abortion views in their writing, including smearing Senator Kamala Harris’s line of questioning to Brett Kavanaugh about contraception and praising Donald Trump for his vehemently anti-abortion policy positions.